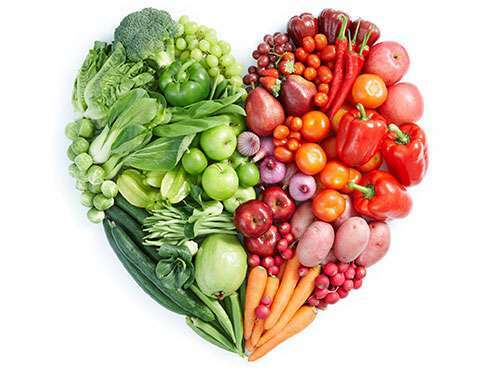 February is American Heart Month, and it is an important time to be informed on the most beneficial foods and nutrients to maintain a heart-healthy diet. According to the American Heart Association, heart disease is the leading global cause of death; 2,200 Americans die each day from heart disease. Wholesome nutrition is a major factor in combating plaque build-up in coronary arteries, which results in the most common type of heart disease, coronary artery disease. The AHA encourages limiting "sugary drinks, sweets, fatty or processed meats, solid fats, and salty or highly processed foods" to maintain a heart-healthy diet. The Centers for Disease Control and Prevention suggests that a poor diet—among diabetes, obesity, physical inactivity and excessive alcohol use—is one of the most influential lifestyle choices that put people at a higher risk for heart disease. Americans are advised by organizations such as the CDC and the AHA to consume more fruits and vegetables and less sodium and sugar. "Choose vegetables that have a rich color like dark leafy greens, sweet potatoes, squash, carrots and zucchini," Rivers said. "Just be sure not to substitute fresh fruits with 100 percent fruit juice or dried fruit." "Fiber is important for gastrointestinal motility, blood sugar control and lower low-density lipoprotein (LDL) cholesterol," Rivers said. "Fiber is great for appetite control because it can fill you up and keep you feeling fuller for longer." "Many restaurants add butter and salt to improve the taste of dishes," Rivers said. "This of course increases the calorie amount for a meal. Before going to a restaurant, look up the nutrition facts for the menu items you think you would want to eat, then make a decision based on which menu items are lower in calories, saturated fat, sodium and sugar." As much as the AHA and the CDC encourage a heart-healthy diet, Rivers says a "cheat day" is OK every now and then to allow yourself to have a little bit of what you are craving to help prevent derailing from a diet all together. Your favorite piece of chocolate or guacamole and tortilla chips are what Rivers recommends as two heart-healthy treats to have on those "cheat days." "The occasional bite of dark chocolate or a nice glass of pinot noir is a perfect reward for your efforts to sustain your heart health."